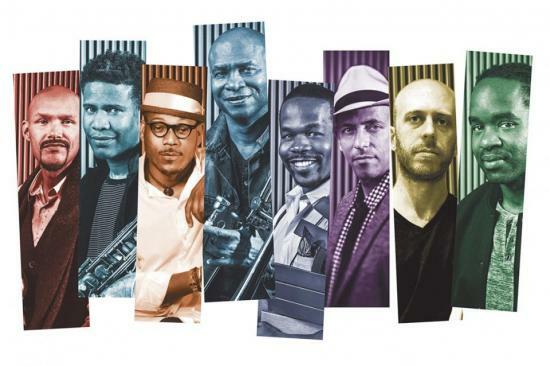 The SFJazz Collective has a long history in Jackson Hall. They first played there in 2007, and have been returning on and off with shifted lineups ever since. On Wednesday, October 17, I attended this year’s visit. The evening was ostensibly centered on the music of Brazilian composer Antônio Carlos Jobim, whom the Collective’s members had been tasked with honoring by making new arrangements of his songs. In reality, their arrangements were so modern that Jobim’s bossa nova classics were (for me, at least) barely discernible. That didn’t mean they weren’t fun and interesting in their own right; it just meant I had to supply my own version of “Girl From Ipanema” by whistling it on the bike ride home. The more I thought about it, the more a dual mandate to both honor a composer and to be one yourself seemed unusual. Who told the Collective to pick Jobim in the first place? Did they chafe under this charge? Did the musicians appreciate being given the opportunity to write original songs, or did they resent having their creativity “forced”? Obviously, only the Collective’s members themselves can answer most of these questions. By their joy on stage, I certainly doubt there was any resentment. But the idea of being commissioned to produce a work of art still strikes me as fascinating, especially considering its history and global scope. I won’t delve too deeply into the massive subject of arts patronage in a single post, except to say that it seems to be working fine for the SFJazz Collective. Over the years, the group has been commissioned to interpret the work of musicians as diverse as John Coltrane and Michael Jackson. They receive their “assignment,” for lack of a better word, from an organization called SFJazz, based in San Francisco, which promotes jazz through education and performance. Institutional, however, doesn’t necessarily mean institutionalized, and commissioned doesn’t necessarily mean confined. With the right outlook, nonprofits should be able to provide commissioned artists not with a rigid set of expectations, but a nexus and an impetus to create art on their own terms and with their own idiosyncrasies. SFJazz showed me the power of that potential. With the infinitude of the universe for inspiration, how could musicians find the act of being commissioned anything but liberating? Michael is a third-year student at UC Davis. He is majoring in Marine and Coastal Science, with planned minors in History and Professional Writing, and is considering a career in science writing. This is his second year serving on the Mondavi Center’s Arts and Lectures Advisory Committee.